(Reuters) - Ferrari NV (RACE.N) priced its initial public offering at the top of expectations on Tuesday, raising $893 million, as drivers enamored with the luxury sports car maker snapped up its shares alongside institutional investors, defying a choppy market. Ferrari, controlled by Fiat Chrysler Automobiles NV (FCA) (FCHA.MI), pulled out all the stops to market itself to some of its cars' owners as well as Wall Street, and also limited the offering to a 9.1 percent stake in the company. The strategy paid off, as the IPO was priced in New York on Tuesday at $52 per share, the top end of its indicated $48 to $52 per share range, according to people familiar with the matter. 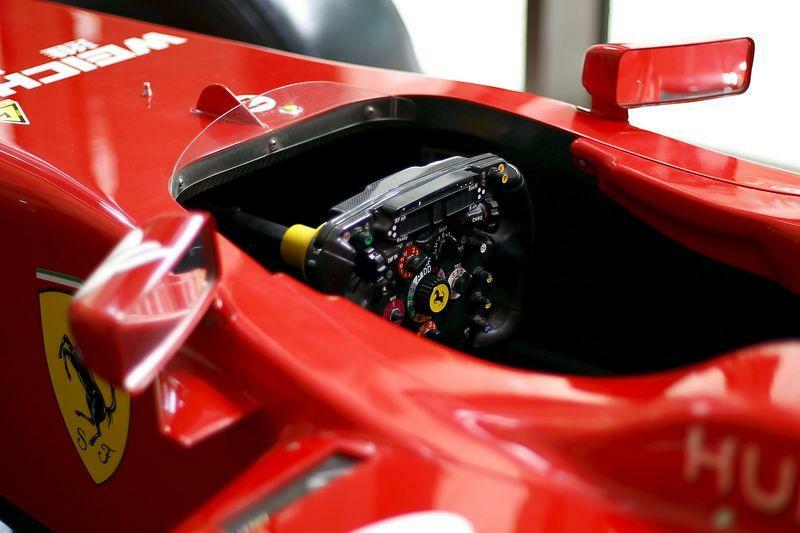 The IPO gives Ferrari a market capitalization of around $9.8 billion. The sources asked not to be identified because the pricing details of the IPO were not yet public. Ferrari did not immediately respond to a request for comment. The proceeds will be used to help fund FCA's ambitious growth plan centered around the revamp of its Alfa Romeo, Jeep and Maserati brands. A successful listing will bolster FCA's finances at a time when its calls for a merger partner have fallen on deaf ears. The company's listing comes a week after several big IPOs were discounted or delayed. Payment processor First Data Corp (FDC.N) priced this year's biggest public offering below its indicated range, while supermarket operator Albertsons Companies Inc (ABS.N) had to postpone its IPO the night before its shares were expected to start trading. Luxury fashion retailer Neiman Marcus Group Inc has also delayed its IPO to 2016. Unlike Neiman Marcus, First Data and Albertsons, however, Ferrari is not a big leveraged buyout looking to pay down debt. Fiat Chrysler is taking Ferrari public to sell a tenth of its 90 percent stake in the company. All proceeds from the IPO will go to FCA, according to a regulatory filing. The luxury car company also approached a different investor mix, attempting to capitalize on the emotional resonance of its brand. It targeted more retail investors than a typical IPO, honing in on high net-worth individuals and Ferrari owners, some of whom said they got letters this summer inviting them to buy company shares once it listed. "A classic Ferrari is a better investment than the stock, but I still plan on buying shares," David Radeloff, who has owned a number of the cars, said in New York ahead of the offering. The strategy demonstrates an understanding of what drives many investment decisions, said Meir Statman, professor of finance at Santa Clara University and author of "What Investors Really Want." "The utilitarian benefits of a Ferrari are no different from those of a Toyota," he said. "Both will take you from home to work and back. But Ferraris yield expressive and emotional benefits that Toyotas cannot match." "A 70-year old in a Toyota is old, but a 70-year old in a Ferrari is young," he added. The overall windfall for FCA, including proceeds from the IPO and 2.8 billion euros ($3.2 billion) to be transferred to the parent as part of Ferrari's spin-off, is seen at around $4.2 billion. Shares in Maranello, Italy-based Ferrari are expected to start trading on Wednesday and list on the New York Stock Exchange under the symbol "RACE." UBS AG (UBSG.VX) and Bank of America Corp (BAC.N) are lead underwriters of Ferrari's IPO.